Our Team - CULTEC, Inc.
Robert (Bob) DiTullio is the founder and current CEO of CULTEC, Inc. He is a graduate of Norwalk State Technical Institute with a major in Chemical Engineering. For several years following college Bob was employed as Chemist and Research Scientist for a major pharmaceutical company; specializing in biochemistry and immunology. In the late 1960s, Bob went to work for a family business owned by his father and uncle that was involved in building and construction, pre-cast concrete, and excavation. He managed the pre-cast concrete segment of the business and was company Treasurer. 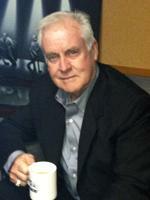 In 1974 he started Eastern Precast Company in Brookfield, CT. In 1982 Bob proposed the idea of a plastic drainage chamber to the State of Connecticut with the intention of obtaining acceptance for the product. After three years of designing and prototyping, the first high capacity plastic drainage chamber capable of supporting traffic loading, was introduced to the industry. CULTEC, Inc. was incorporated in 1988. Bob continues to design Cultec’s storm water management and septic chambers, distribution systems and water quality structures and holds several patents. Bob is married to his wife Christina. He has six children and lives in Northwestern Connecticut. 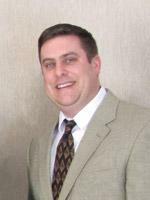 Bob DiTullio Jr. is currently the Chief Business Development Officer of CULTEC, Inc. 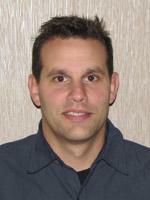 He has experience in the septic and stormwater industry dating back to 1986. Bob attended both the University of CT and Western Connecticut State University. Bob has been involved in all positions of CULTEC, Inc. from the start giving him the knowledge of all aspects of the company. As the company’s Production Manager his daily duties include, overseeing sales, production and purchasing and shipping. Bob also held the office of company President from 2006-2017. Bob has been effective in opening new territories, distributors, and developing relationships with Vendors. Bob is the son of CULTEC’s CEO Bob DiTullio, Sr. He is married, has two sons and three Labs and enjoys living in North Carolina. Gina Carolan is currently the C.O.O. 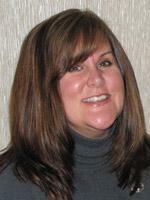 and Director of Marketing for CULTEC, Inc. Gina has been with the CULTEC since its inception in 1986. She is a graduate of the University of Connecticut with a major in Marketing and Communications. Starting out as the company’s receptionist, Gina transitioned to a marketing position and created the corporation’s first technical manual and other literature and promotional pieces. She later became a Technical Specialist and designed CULTEC’s Stormwater Design Calculator and formed alliances with several hydraulic modeling software companies. Also in this role, Gina’s responsibilities included calculating and assisting in the design of CULTEC’s stormwater & septic systems, technical support and quoting projects. Gina undertook the duty of Production Manager for approximately two years overseeing the manufacturing and shipment of CULTEC’s products. She served as CULTEC’s Corporate Secretary from 1991 – 1995 and President from 1995-2006. After having her daughter in 2006, Gina has taken on the role of C.O.O. and Director of Marketing. Gina had the inspiration for and headed the creation of CULTEC’s StormGenie Automated Drawing Program. Typical functions include website management, conceptualizing literature pieces, and the creation of new design tools, alliances and technical manuals. Gina is the daughter of CULTEC’s CEO Bob DiTullio, Sr. she is married, has a daughter and lives in the Northwest corner of CT.
As C.F.O , Chris proactively manages the financial aspects of CULTEC. She also oversees the Human Resource department, as well as the company’s legal/compliance matters, which includes protecting the company’s intellectual property. Chris works closely with companies small and large to build trusting, long-term customer relationships from the onset of establishing an account to maintaining existing customer satisfaction. With CULTEC since 1989, Chris has worked in all facets of the business, such as to obtain local, state and regulatory product approvals throughout the U.S. and Canada, initiated the Company’s certification program, and conducted patent/trademark work. Additionally, for a number of years Chris handled the company’s media, promotion and marketing efforts, as Director of Marketing, and has also served as C.O.O. Previously, Chris managed a security company located in the Danbury, CT area for roughly five years having approximately 150 employees, requiring DOD Clearance processing. Chris grew up on her family’s Holstein Dairy Farm in So. VT and owned several horses over the years. 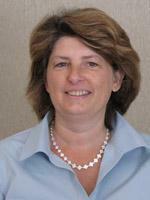 She received her education in accounting, finance and business law in upstate NY and So. VT with original aspirations of working as a paralegal. Happily married to her husband, Bob DiTullio, Sr., she has three daughters, an extended family and enjoys spending quality time with all of them. Fred Dotson has been with Cultec, Inc. since 1997. Working his way up has given him experience in every facet of the business. Fred has been instrumental in helping CULTEC develop a strong presence in the engineering community along with establishing long term customer relationships with dealers and distributors around the country.